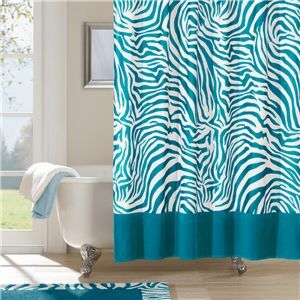 Step into a Safari with the Wild Side Shower Curtain. This Zebra inspired print is printed on micro-fiber so it will not loos its vibrant color after washing. The fabric drapes beautifully.